Why is chicken so costly in Assam? It is definitely not good news for the meat lovers of Assam – price of chicken is costliest here in comparison to other states of India. According to reports compiled byNortheast Nowfrom across India, it has come to fore that broiler chicken, the meat of choice of the people of northeast, is astonishingly costly in Assam. As on August 17, average price of live chicken in the farms of Assam was Rs 92, per kg, while the price was as low as Rs 49 in Rajasthan and Rs 52 in Punjab. The neighbouring state of West Bengal sold the live birds at Rs 57, while Odisha sold it at Rs 59 per kg. 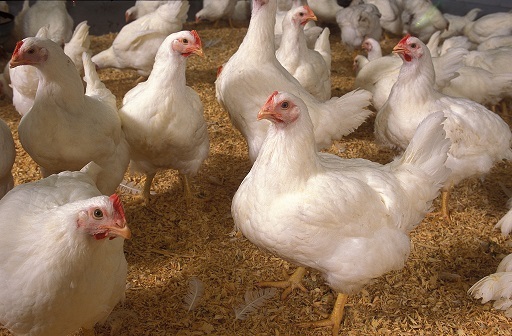 While almost 90 percent of poultry production in Assam is under the control of the corporate, the consumers are confused with the disparity in the market rates of live broiler chicken in Assam in comparison to other states. How will the poultry companies, which are engaged in integrated farming or the Eastern India Poultry Development Forum (EIPDF) explain the reasons of the high price of broiler chicken in Assam? Interestingly, there was not much of difference in the price of hatching eggs in Assam and other states. Price of hatching eggs in Assam on August 19 was Rs 18.75, while in most of the other states it was Rs 18. “Don’t understand as to why there are so much of differences in prices of broiler chicken in Assam and North Bengal,” Ranjeet Das, a consumer said, adding that even price of hatching eggs in North Bengal is Rs 18.75. Das said there cannot be so much of differences in the prices of live broiler chicken in Assam and North Bengal. “If price of live broiler chicken is around Rs 60 per kg in Siliguri, why is it Rs 92 in Assam?” he questioned. When contacted, AK Bhagowati, president of Eastern India Poultry Development Forum (EIPDF) toldNortheast Nowon Mondayevening that the disparity in the price of live broiler chicken is primarily because of high cost of production in Assam. Bhagowati said the unprecedented heat and high level of humidity are also the causes of mortality in Assam. “Whenever there is high mortality, the price of live birds in farms goes up,” he claimed. However, the EIPDF president could not explain the reasons there is so much of disparity in prices between Assam and North Bengal.